Had stealing someone else’s data not been a crime, I wouldn’t have had spared a second getting hold of the pulse-racing visuals of Dr. Hassan Waqas Rana’s directorial debut 'Yalghaar’s' first look. The Islamabad based director was recently in Karachi to ink important deals with Oscar-winning UK visual effects house Peerless Camera Company for his film post-production. Additionally, he has also signed up a man who did ‘grading’ for space odyssey ‘Gravity' to facilitate him with the process. HIP contacted Rana for an exclusive interview where he decided to talk briefly about ‘Yalghaar’ and also share with us the raw trailer of the film. A few-minute long trailer opens with meticulously approached action sequences- aggressive men in army uniform and armored cavalry bursting through the scenes with fire, guns and shots. One scene which we simply couldn’t let go of was epic sky diving scene. Captured from above 10,000 feet, it was enough to send a chill down our spines. As a matter of fact, the visuals were so fascinating that we couldn’t stop ourselves from muttering words like ‘wow’ and ‘thoroughly captivating’ which brought a humble smile on the face of the director. A risk taker: Challenging the cinematic norms, Rana produced a mega-budget movie ‘Waar’ at a time when nobody wanted to invest their money in entertainment sector. Apart from being the highest grossing movie of the year the film also proved to be a corner stone in the revival of Pakistani cinema. “When I floated the idea of making a patriotic movie with a high budget, people used to make mock me. At that time, the total market of Pakistani box office was around Rs four to five crores – but Waar has altogether changed the scenario by making a business of over Rs 23 crores. ” Rana added that the release of a movie like ‘Waar’ also greatly helped in lesser production of anti-Pakistan content across the border. “ "Anti-Pakistani content has gradually decreased with time. This is because the filmmakers have realized that their movie will fail to work in Pakistan if it is based on hatred. ” He also said that recently Amir Khan starrer ‘PK’ made a whopping amount of US$ two millions in Pakistan which undoubtedly is a staggering amount and no producer would want to lose it whatsoever. 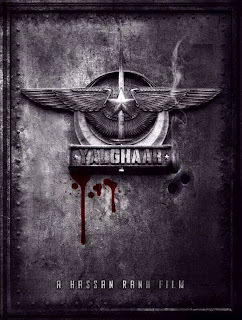 ‘Yalghaar’ is no ‘Waar’ Rana emphasizes that although made on the same theme of patriotism, the content of both movies is entirely different from each other. Yalghaar is high on emotional quotient as it narrates the tragic tales of the grief stricken souls who left their loved ones in Swat Operation. “It was an amazing soldierly maneuver which received worldwide coverage. The operation is so influencing that students at military schools around the globe are given lessons regarding it,” he revealed. Equally touched by the heroic tales of the soldiers, Rana who also penned down the script of the movie simply couldn’t resist not basing a movie on this theme. “Nearly every corner of our country has tasted blood –terrorism has badly engulfed our land and being a filmmaker it is my responsibility to share the stories that needed to be told,” he asserted. Read: 'Yalghaar' director collaborates with Oscar-winning visual effects company On characterization of roles Rana said that he hasn’t tailored any character keeping actors in mind. Instead, he chose people who fit the script like gloves. The director said that when he first contacted Humayun Saeed for a negative role, the superstar was initially reluctant as it could cause a great loss to his heroic image on cinema but after Rana’s assurance he agreed to do it. 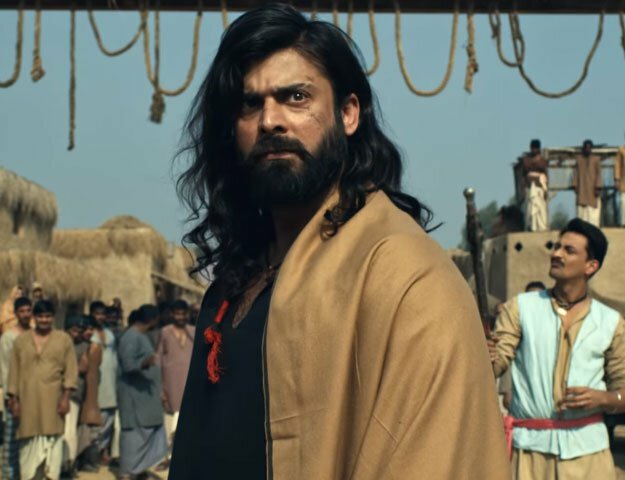 “It was indeed a tough decision for Saeed to make but after working in this movie I am sure he will call it the best performance of his career so far,” he said. The Bulbulay girl Ayesha Omer is also making her acting debut through Rana’s movie and the director mentioned that she hasn’t done something like that in her years’ long career. “Ayesha Omer is probably the most hardworking girl of our industry,” he said. On casting a slew of female debutants in movie While film male lead is composed of established and renowned names of our film industry including Shaan Shahid, Humayun Saeed and Adnan Siddiqui, the film director has chosen relatively new female. And there is an interesting reason behind it. “There is a dearth of female artists in our industry and those who are working are over exposed. This situation prompted me to look for fresh people.” This is why Rana ended up casting Dubai based actress Alizeh Nasir and journalist turned actress Sana Bucha in in his movie. The director sees a lot of potential in his latest discovery Alizeh Nasir – a New York Film Academy graduate who is also making her debut through this movie. “I met Alizeh in Dubai and she immediately grabbed my attention with her immense talent and beautiful look. She is a full package and I am sure she will be a good addition to our industry,” he said. Rana prospects a bright future for Sana Bucha too. “Sana is a first timer. However, she is a fast learner and a brilliant actress. She has also worked really hard on her character.” Action versus comedy The former Dean of Bahria University who was the action director of blockbuster movie ‘Waar’ has stepped ahead in honing his skills for his upcoming film. He went abroad to enroll in special courses for cinematography, editing, VFX , action direction and special effects before taking on this project. Rana stated that making a social or comedy film in Pakistan is a lot easier because the production team is already used to this set-up plus there is a Bollywood inspiration too which makes the process quite stress-free. However, being the captain of an action flick is not an easy decision. “It is the most difficult thing to make an action movie because you don’t have equipment required is not easily available. A huge investment goes in the buying equipment.” “For commercial film, the equipment budget is just Rs2 to 2.5 crore but to make an action flick I needed Rs 8 to 9 crore just to start off the project. ” Rana added that it’s a mentally exhausting experience because to give a reality touch to his movie, his team made use of live ammunition which required the crew to be extra cautious - accident could happen anytime if proper precautions had not been taken. 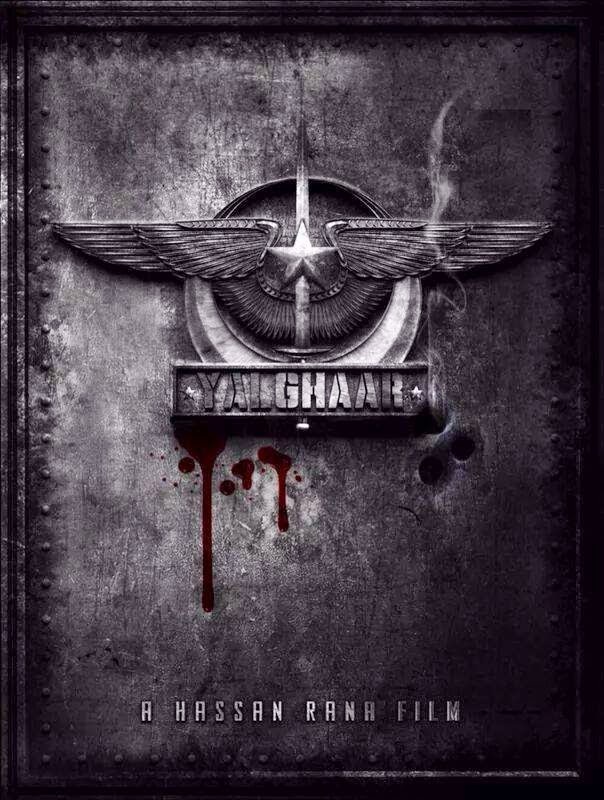 'Yalghaar' is expected to release after Eid, sometime in September, whereas its first look will be made public by the end of month. The film features eight songs with prominent names of our music industry lending their voice which include Rahet Fateh Ali Khan, Abida Parveen and Shafqat Amanat Ali to name three. Music composed by Rana along with Zulfiqar Jabbar (Xulfi) of Call band who has also done background score of the film. Rana hopes that ‘Yalghaar’ will make people fall in love with Pakistan once again. “I don’t want people to go watch it considering it a patriotic film. Rather, I want them to get a good experience. It has drama, thrill,romance, action, comedy, suspense and emotional elements well blended into and I am sure it will be really well spent two hours for audience,” he said in the end.